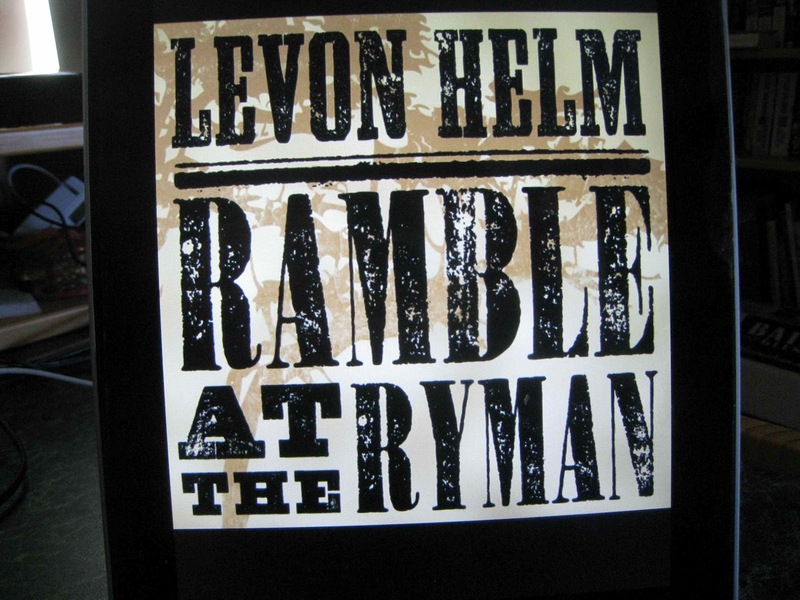 Recorded by a travelling version of the late Levon Helm's Midnight Ramble, rather than the regular sessions that have been running at Levon’s studio at Woodstock in upstate New York since 2004 Ramble at the Ryman (that’s Nashville's Ryman Auditorium, the former home of the Grand Ol’ Opry) might look to be rather heavy on past glories (six tracks out of fifteen from The Band’s catalogue) but with a crack outfit including multi-instrumentalist Larry Campbell and Helm's daughter, vocalist and mandolinist Amy alongside a number of guests (Little Sammy Davis, Buddy Miller, Sam Bush, Sheryl Crow and John Hiatt) the result is a highly listenable collection of rock, blues, country, and folk that rocks along very nicely indeed. The Band material here, starting with the opening Ophelia and stretching through Chuck Berry’s Back To Memphis (covered regularly as part of The Band’s live set), Evangeline, Rag Mama Rag, The Shape I’m In, Chest Fever and The Weight are significantly reworked the way you’d have to when you can’t call on Garth Hudson’s keyboards, with the emphasis on the shambling horns and guest vocals from Sheryl Crow (Evangeline), Larry Campbell (Chest Fever) and John Hiatt (The Weight). The guest vocals are, in large part, a function of the throat cancer that damaged Levon’s vocal cords and while the predictions that he mighty never sing again didn’t materialise, it took a while before his voice was up to singing, so for much of the early Ramble era he was content to leave the vocal department to others. Issues regarding vocal resilience come to the fore in Dirt Farmer’s Anna Lee, where his own voice might not be strong enough to carry the song by itself on his own, but choral support from the ensemble’s female members gets it over the line. Little Sammy Davis takes centre stage for the old R&B hit Fannie Mae, which dates, I suspect, back to the Ronnie Hawkins days, and Slim Harpo’s Baby Scratch My Back, while Sheryl Crow is front and centre for the Carter Family’s No Depression In Heaven and Buddy Miller gets to do his own Wide River to Cross. The traditional Deep Elem Blues is handed to Larry Campbell, while Teresa Williams does the full country bit on Time Out For The Blues and Levon’s back for A Train Robbery. That vocal chopping and changing could, under other circumstances, come across as an all-star celebrity occasion, but the ensemble, with egos deposited in the cloak room, comes across as a group of talented friends who coincidentally happen to be rather fine musicians getting together to have a bit of fun, sing and play and enjoy each other’s company. It’s the kind of vibe that you can only create by extensive playing together (as noted the Woodstock Rambles date back to 2004) and the core group creates an environment where the guests slot in seamlessly. Helm’s work behind the drum kit drives things along, the instrumental line up are equally at home in the mountains and down among the bayous, the horns are a delight and while the half-dozen Band numbers form an unavoidable core (you wouldn’t really expect Levon to ignore them, would you?) they’re reinterpreted rather than reproduced. 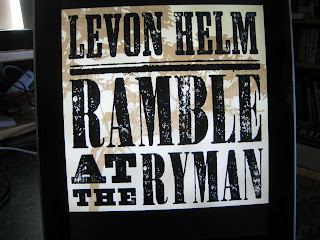 Ramble at the Ryman may not be the same as hearing Levon Helm play for a few dozen guests at in Woodstock, but now he’s gone you’re not going to get that opportunity anyway. One of the greats, recorded in what’s arguably the right setting.